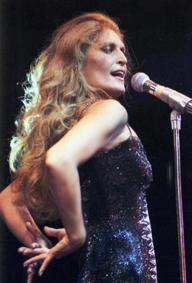 I first heard Dalida while watching a French film and her music was used for the soundtrack. It was such a haunting piece that though the lyrics were incomprehensible for me, the sadness and depth of feelings reached out and made the music so beautiful. Afterwards, had researched her on the net and was glad to have stumbled on this site. I'm not surprised that so many people have been touched by her music. Thanks for providing us with this site. I now live in Philippines but first heard Dalida in Sri Lanka.